While it doesn’t look or feel great, sometimes you have to own up to sleeping on someone’s message. Maybe it’s a professional you can’t afford to leave feeling forgotten, or a simple case of procrastination that’s gradually snowballed into full-on dread. 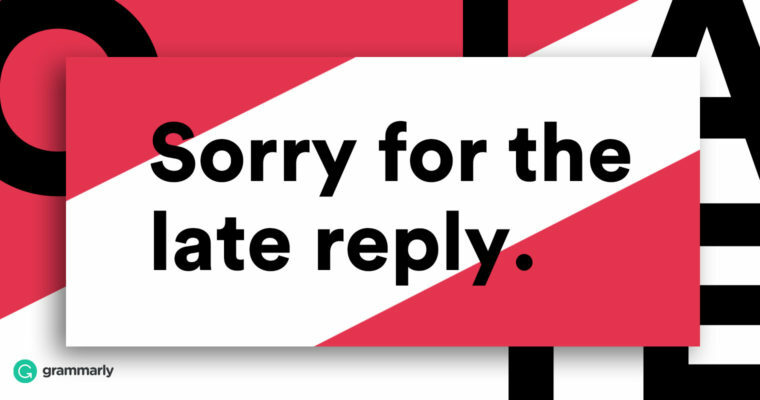 Whatever the cause, we have some ideas for ways to break the silence and apologize for a late reply. Say you get an email along the lines of “Hey friendly , could we meet up for coffee next week and free-associate about our industry?” While connections like this can be valuable, they probably won’t wither if you take a couple decadently unhurried days to respond. In recent years, April 30th has become something like a holiday for chronic email procrastinators. Best known as it’s an annual free pass to finally send all those messages you’ve put off for way too long, without worrying about whether you seem rude or have a decent excuse.